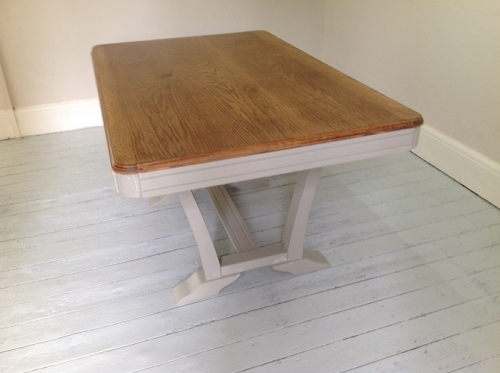 Vintage French Art Deco dining table with Oak top and a painted base. This table has the possibility be extended, however we are not in posession of it's original leaves. Please contact us 01604 472472 if you are interested in this item.